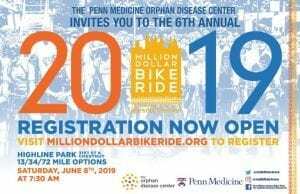 Registration is now open for the Million Dollar Bike Ride. Saturday, June 8th, 2019 at 7:30 AM. Highline Park, 31st Street and Chestnut. To register please go to MillionDollarBikeRide.org.